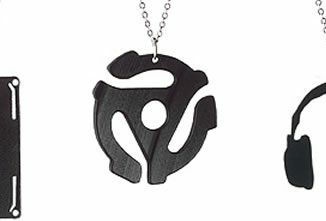 It’s always cool when something that’s normally being passed off as waste is used to create something totally new, cool, and usable again. 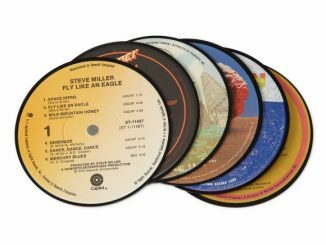 Take the Vinyl Numbers Clock, for example. 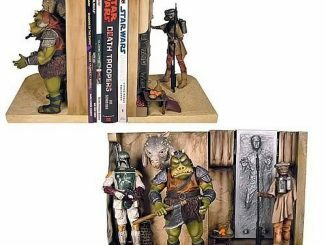 The designer behind it took his old records, carved them up, and was able to make aesthetically-pleasing wall clocks. 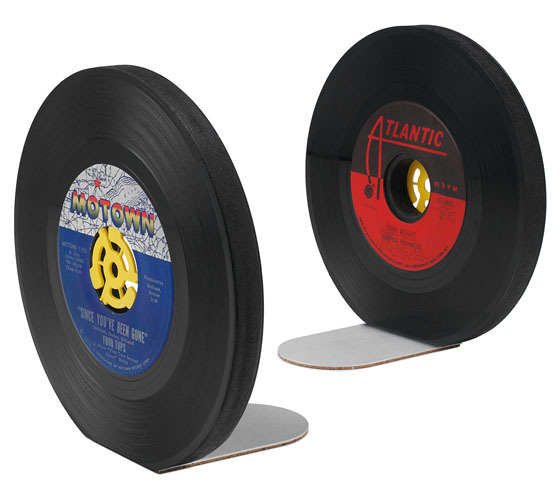 Now here’s another attempt at recycling those old vinyl records by turning them into these Recycled Record Bookends. 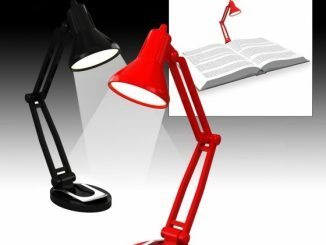 It really impresses me how ingenious and creative people can be sometimes. 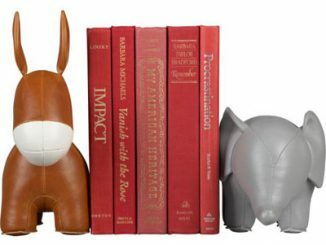 The bookends come in sets of two and are all handmade in Philadelphia by Jeff Davis, who has been making up all sorts of eco-friendly and awesomely creative stuff for the past fifteen years. 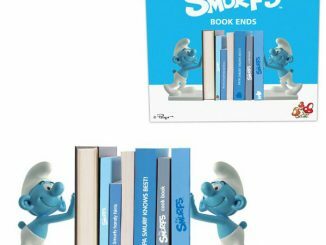 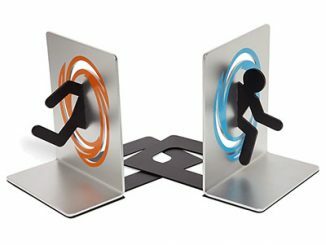 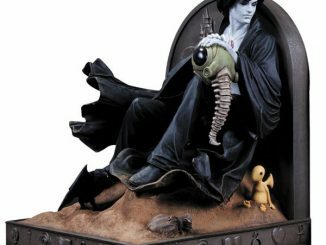 These will surely be a hit in your den or library or wherever there are books that need bookends. 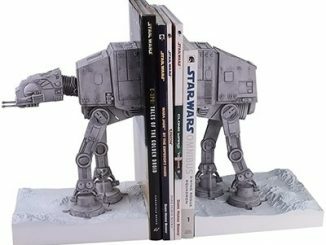 These vintage record bookends may just be the hottest vinyl to hit the shelves since Elvis. 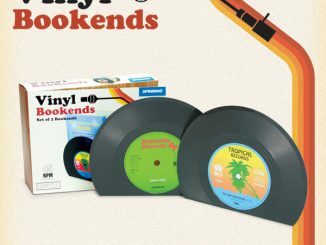 Music-loving artist Jeff Davis makes them by hand, using two, 7″ 45rpm records, bonded to a thick inner core and supported by a steel tongue that will keep your books from rocking and rolling right off the shelf. 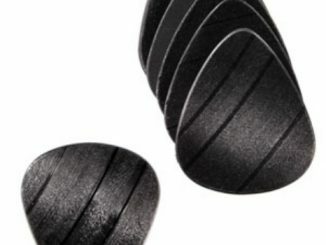 The core material, known as Trupan, is an environmentally friendly composite board made from recycled waste wood. 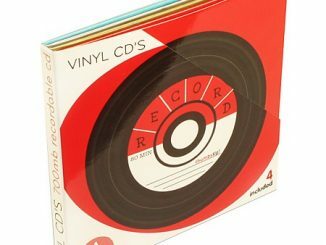 Records used will vary; special requests are not available. 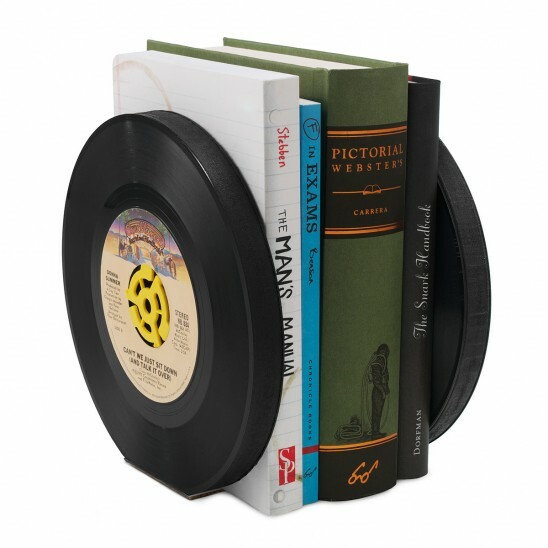 The Recycled Record Bookends are available from Uncommon Goods for $40.